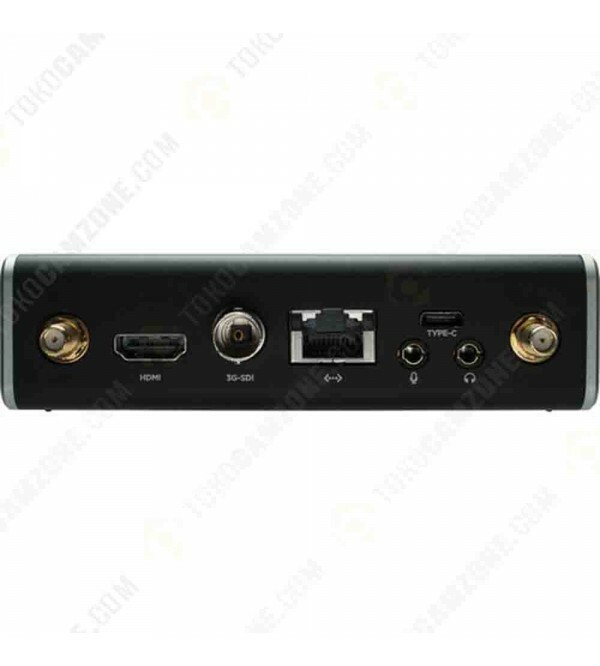 The Teradek VidiU Go is a live video transmission system that supports both HDMI and 3G-SDI signals up to 1080p60. 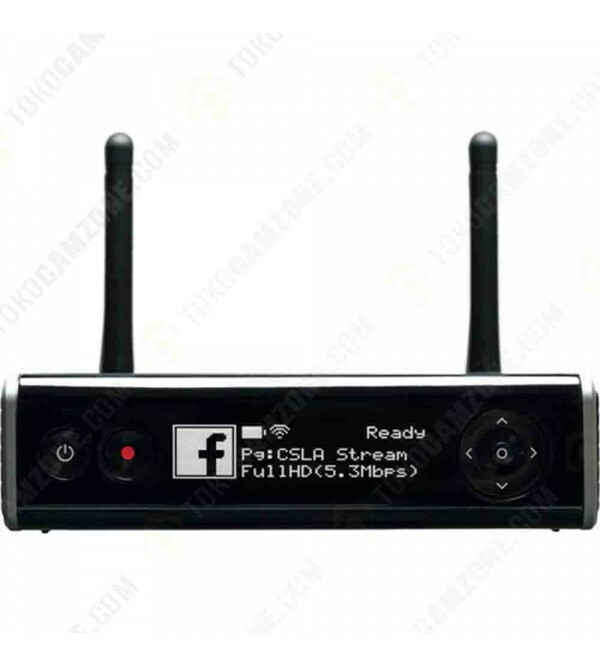 It features two USB 2.0 ports for streaming using USB modems, and you can also use the Ethernet and Wi-Fi ports to stream. 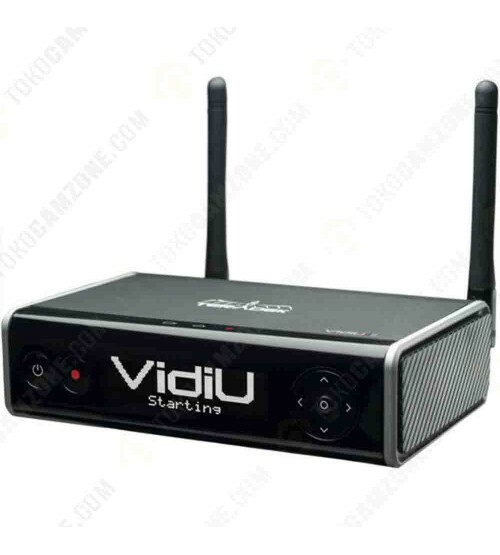 The VidiU Go is a bonded device and uses Teradek's Core technology, which allows you to distribute the bandwidth of your streaming signal between the attached modems decreasing the chance of dropping frames and increasing the quality of your stream. The VidiU Go supports AVC/H.264 compression for legacy applications as well as HEVC (H.265), which provides the same quality as H.264 at about half the data rate. Teradek's Cloud allows access to their Core streaming platform, which enables you to remotely manage your VidiU Go. The VidiU Go seamlessly connects with both consumer and professional cameras via its HDMI and SDI inputs, as well as popular video switchers from Newtek, Roland, vMix, among others. Teradek has simplified the boot up and configuration process enabling the VidiU Go to be up and running fast, so you don't miss what is going on. You can set your streaming parameters from VidiU Go's web and OLED interface, or pre-configure your device with the free VidiU app for iOS and Android. Once powered on, VidiU Go is ready to stream in under 10 seconds. VidiU Go includes both H.264 and HEVC compression, allowing you to choose the technology best suited to your project. HEVC video compression offers the same video quality as H.264 at half the required bandwidth, which makes it perfect for slow Ethernet and Wi-Fi connections or saving on data costs when streaming over cellular networks. VidiU Go was designed to perform in the most challenging production environments, so it uses the same bonding technology found in Teradek's high-end broadcast systems. Combining the bandwidth from Ethernet, Wi-Fi, and up to two 3G / 4G / LTE modems help prevent your stream from dropping, or use several iPhone and Android smartphones as hotspots for even more bandwidth redundancy. As the name suggests the optional Node for the VidiU Go works with the VidiU Go and is designed to mount seamlessly on the side. It is a broadcast-grade modem that provides 2 to 3 times the performance of carrier-branded modem. Core is Teradek's cloud-based streaming platform. It can help you distribute your content to more viewers and streamline your workflow. you can trust VidiU Go to be a critical component of your live broadcast with remote management into the Core platform that allows your team to configure and prepare the encoder ahead of time from anywhere in the world. While the RTMP protocol does not yet support HEVC compression, Teradek's transcoding engine allows you to take advantage of H.265's bandwidth savings while ensuring video delivery in the common H.264 format (please note that this specific transcoding is only enabled through Teradek's Core). Box Dimensions (LxWxH) 8.8 x 6.6 x 4.9"